Isolator or disconnectors, as the name indicates, is a switching or isolation device, intended to disconnect an equipment or electrical Circuit from the supply. It is an offload device, which means it can be operated only when the current passing through it is zero. Unlike circuit breakers, it lacks a built-in arc suppression system. It can be operated only during offload conditions. The main purpose of using an isolator is to ensure safety during maintenance. Before operating an isolator it is made sure that the current flowing through it is zero or within safety limits. The Breaking capacity of isolators is very less. Circuit breakers are protection devices. The main function of a circuit breaker is to protect an equipment or circuit from overload and short circuit faults. Circuit breakers sense such faults and interrupt the power flow to the equipment/ circuit, hence preventing further damage to the equipment. Higher the intensity of the fault faster shall be the interruption of power. 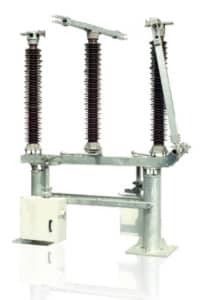 Circuit breakers are also equipped with a built-in arc quenching system. It enables them to be used during on load and fault conditions. Various factors are taken into account while selecting a circuit breaker for a particular application. Isolator is meant only for interrupting the power during maintenance or repair. Circuit breakers are meant for protection of a circuit or equipment from short circuit and overload faults while they are in operation. 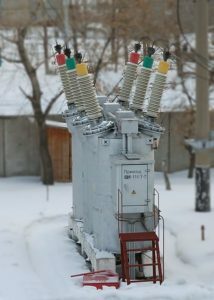 Isolators can be operated only during offload. 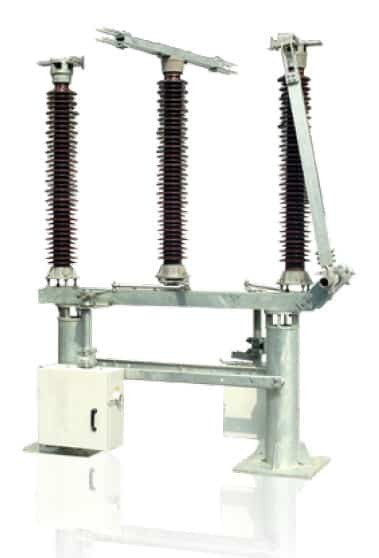 Circuit breakers can be operated during both on-load and offload. Breaking capacity of isolators is very less. Breaking capacity of isolators is very less. Breaking capacity of circuit breakers is high. An isolator is an offload device meant for interruption of power flow to an equipment or circuit during maintenance whereas, circuit breakers are protection devices, similar to fuses, that protects the equipment from overload and short circuit faults throughout its operation.